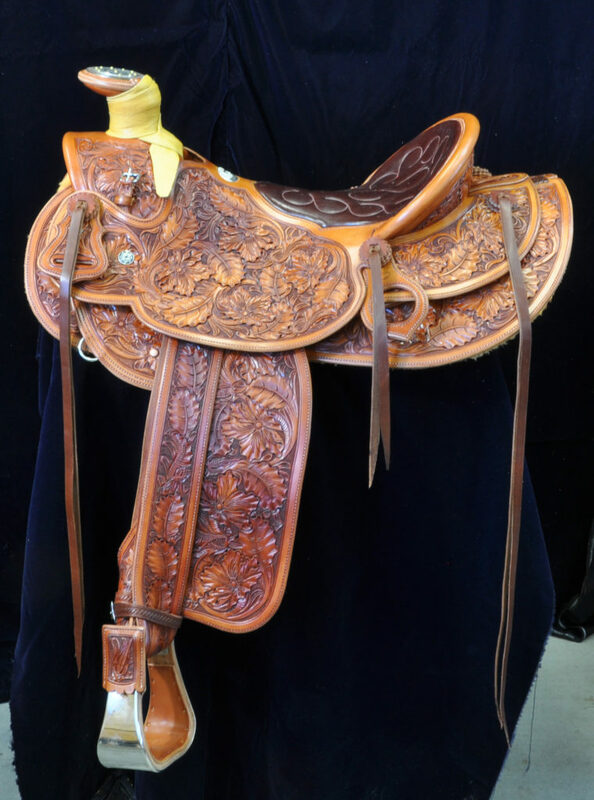 Tree: 58 wade; 9 inch swell, #4 dally horn, 3 1/4th inch cap 3 1/2 inches high, shovel cantle 3 1/2 inches high. 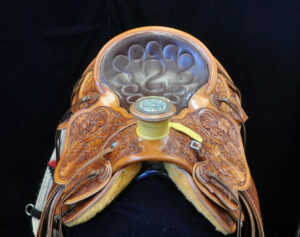 ¾ inlaid quilted seat, Burgundy with light orange stitching regular roll cantle binding. California half double stirrup leathers with Superior quick change buckles, 3 inch bell monel stirrups with quarter covers. One of many compact little single rig saddles I have made in the past several years. 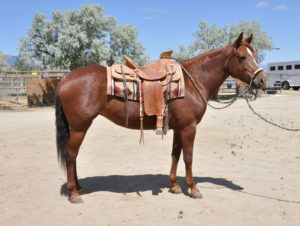 Using my bar pattern and the correct type of cincha these saddles set down really snug on a horse’s back and stay put.